Note: Punch has been seen to windsuck. Punch is a big impressive type with an excellent nature. He is an extremely athletic horse which is no surprise given his pedigree and is sure to be an outstanding eventer or dressage horse. 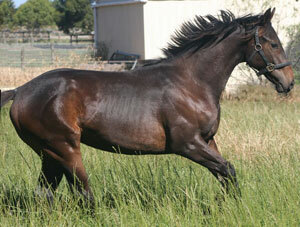 He is blessed with extremely good movement and will do high quality dressage as well. Punch is a combination of our amazingly talented Aurum Rivière d'Or (Patch) out of Dreamie, who has produced a number of top class eventing youngsters for us. Dreamie is a mare who really has a pedigree to dream of when it come to jumping lines. She has so many instances of the Nearco/Phalaris line we almost lose count. As well, many other famous jumping sires, like Polynesian, Hyperion, Native Dancer and Son In Law often in multiple lines. It really is a who's who pedigree! 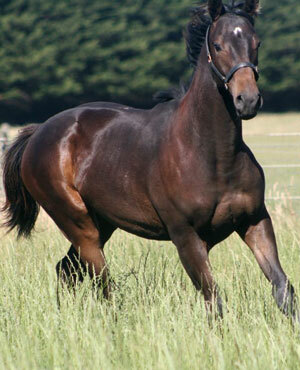 The Family Ties line is renowned in Australia for producing top showjumping and eventing horses. From the breeder's point of view the end result has been a beautifully put together mare with an excellent temperament who is an absolute pleasure to work with. Aurum Rivière d'Or is currently training Prix St George and is a fantastic mover with an incredible learning ability and many wins under his belt. 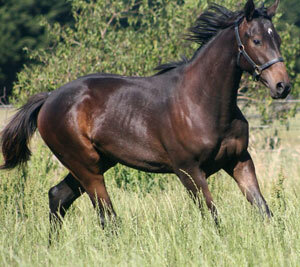 Punch will make a super dressage or eventing horse and is sure to excel in either pathway. We expect he will be as intelligent and trainable as his father was.